At roughly half the cost of new parts, Green Recycled Parts are the original and genuine parts made to original manufacturer’s specifications. They’re road tested and guaranteed to fit your vehicle. From late model components to obsolete or hard to find parts you can be sure that your Green Recycled Parts will perform to the standards to which they were designed. ARM auto recyclers ensure the quality and reliability of the parts they sell. During the dismantling process, every part is inspected and tested so only those that meet strict guidelines and tolerances are offered for resale. Some parts such as engines and transmissions may be remanufactured while other parts such as lights and wheels may be reconditioned. Parts that need to be protected from the elements are carefully stored in warehouses to preserve their integrity and performance. As parts are inventoried, the model year and mileage of the vehicle they came from are recorded to provide information about the condition of the part you’re purchasing. ARM members guarantee the part you purchase will be in working condition or they’ll exchange it. Some offer longer warranties and even make optional extended warranties available. Feel free to ask when you’re purchasing your Green Part. Modern auto recyclers make it simple, fast and painless to source and order the exact Green Part that’s right for your vehicle. 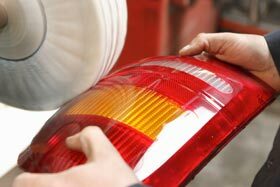 Then each component is dismantled for re-use, it is assigned an industry-wide interchange number that identifies which vehicle, model and type it fits. 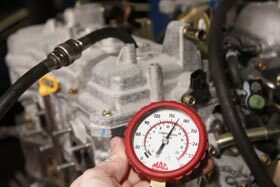 Additional information is recorded, grading the condition of the part based on mileage, minor damage, and other details. The part is then tagged with a bar code or inventory number, and then entered into a computerized inventory management system. With the click of a mouse, recyclers know what they have in stock and where it’s warehoused so they can locate it in seconds. ARM members have adopted a sophisticated parts locator network that connects the inventory data of all the auto recyclers across Manitoba. Using the parts interchange numbers, anyone can go on-line and in most cases locate the right Green Part for any vehicle in seconds. The Automotive Recyclers of Manitoba are committed to the maintaining the highest standards of environmental stewardship and business ethics among our members.